Imagine that you’re a CEO at an awards night in Chicago, but throughout the evening, you’re focused on your company’s latest acquisition target. Are they truly interested? It’s too late to reach out to your colleagues in London. You slip away from the tables, find a private spot, and securely check the status of your acquisition’s latest move on Ansarada’s natural language app on your phone. Before you need to return to your seat, you’ve taken advantage of Ansarada’s AiQ Bidder Engagement Score, powered by AI and machine learning as well as behavioral analysis of more than 25,000 global deals handled in Ansarada’s transaction room. You return to your seat better informed of how to make your next effective move — and in plenty of time to claim your company’s award. Ansarada has supported companies to execute more than 25,000 critical business transactions since 2005 in their transaction rooms including capital raises, IPOs, mergers and acquisitions and audits. They’ve also created the world’s first intelligent information platform for companies and advisors to remove risk, increase visibility, improve performance and grow with confidence. Ansarada remains at the forefront and constantly seeks new ways to make their clients live easier including companies such as Google, CBRE Richard Ellis, PwC, and KPMG through AI and machine learning tools that automate tasks, identify opportunities and remove unnecessary risk. “I think the biggest thing is making sure that they have confidence that the data is being stored securely and managed properly and that our core products remain stable and pure for them to facilitate their transactions,” says Ansarada’s Chief Systems and Security Officer Steven Rogers. At the core of Ansarada’s business is centralising information in one place and knowing who has access to what document where and when. 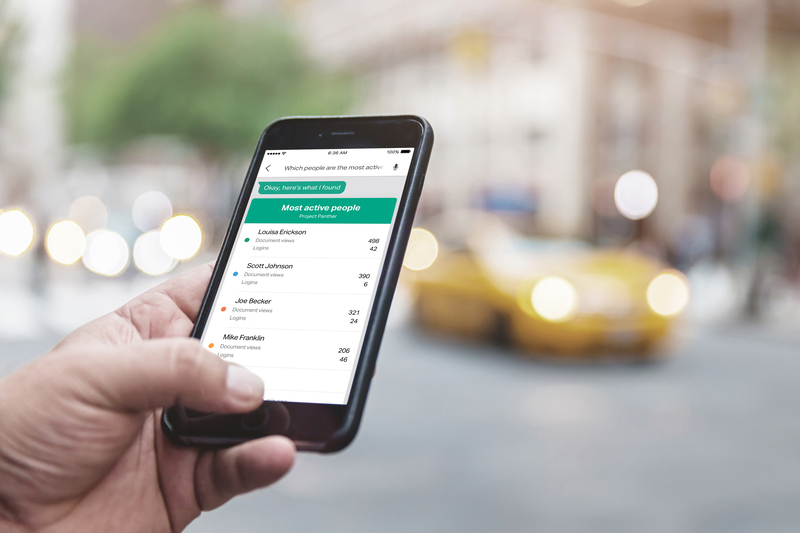 They’ve built and leveraged a range of technologies to apply information rights policies to their customers’ documents — all of which can be activated “on the fly.” Virtual data room admins can completely customize access levels and printing capabilities, including revoking permissions to expire documents that have been accessed. “Authentication and user management is critical to our platform and critical to our security posture and our representation out there in the market, but at the same time it’s not a core business functionality,” says Rogers. 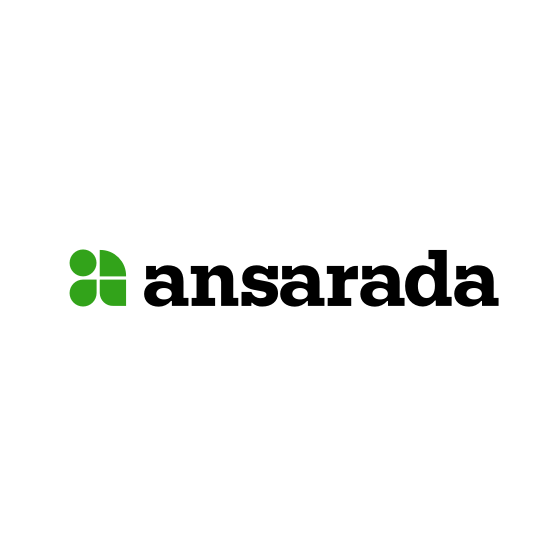 Over Ansarada’s 12 year history, they’ve shifted from on-premise solutions with partners who moved slowly, to agile, cloud solutions. 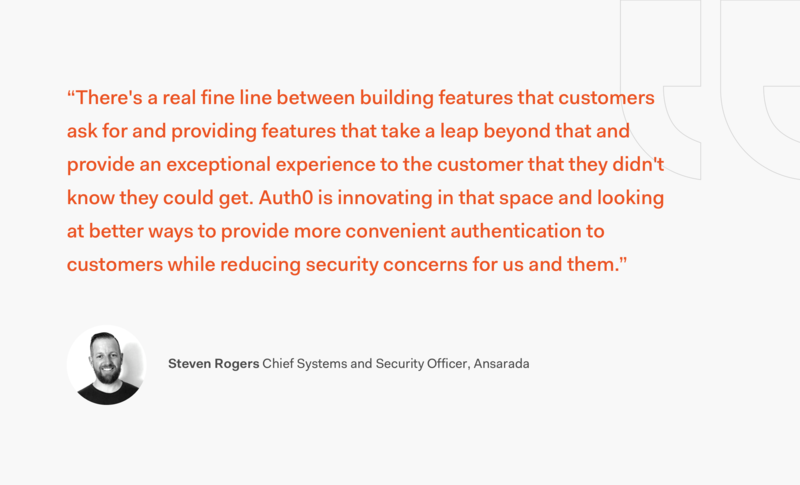 Rogers was looking for a partner who could handle their security requirements while matching Ansarada’s drive to continually innovate for customer ease. This led him to Auth0. “There’s a real fine line between building features that customers ask for and providing features that take a leap beyond that and provide an exceptional experience to the customer that they didn’t know they could get. Auth0 is innovating in that space and looking at better ways to provide more convenient authentication to customers while reducing security concerns for us and them,” he says.